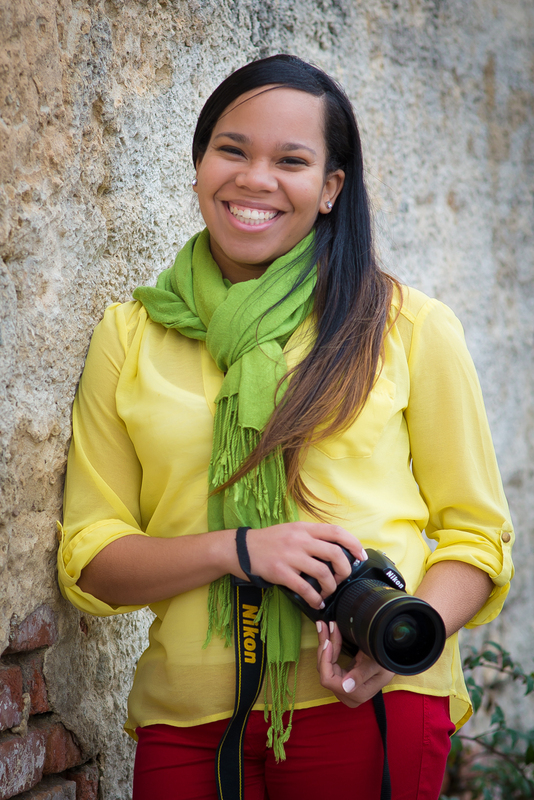 Kortney Hinton Images: How did you get started with Tainted Rose? What was your motivation for doing so? Sammi Bivens: I started Tainted Rose in 2011 and I started it as a way to get marketing experience for myself in an effort to put that on my resume and eventually get a job in marketing. I have a financial background; I worked at a bank during college and I continued to work for banks or investment companies since I graduated so I didn’t have any experience in the marketing field and they don’t really hire people without any experience. So I couldn’t really get any [experience] during college because I had to work full time and I couldn’t afford to quit my job to go work an internship. So that’s kinda how I got started and I like to tell people that it kind of saved my life because it kept me busy, it kept me out of trouble from things I could’ve been doing; instead I was focused on how I could make and build my business and I also was going through a breakup so it gave me something else to focus that energy on. The name just derives from when you go through so many things and you’re not who you thought you would be and you’re definitely not who you used to be – it changes you, it taints you a little bit. Not necessarily for the worst, like bad experiences [can have] good outcomes like you becoming a better person because of those bad experiences. A woman is a rose, we’re delicate, we’re beautiful and that’s where the name comes from. At this point, now my motivation is to succeed at this and I’m working on transitioning this from just something I do part time (even though it’s anything but part time hours!) and parlay this into something I can do where I’m my own boss all the time. For me success would be progression, success is doing something different and better than I did the last time and always reinventing what I have going on. KHI: What’s your favorite go-to item? 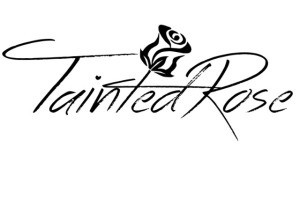 SB: My favorite item would be this Tainted Rose Signature item. I like it because I’ve been selling it since I started in 2011 and it’s still my #1 seller – I can get these and people will just buy them because it’s such a versatile piece. It can go with your t-shirt and your jeans or it can go with your suit and your blazer. If I’m traveling or going somewhere, I keep this with me, because I know for a fact that it will go with something that I have. KHI: I noticed you’re sticking with the gold, black, and leopard print here – was that intentional or is this kind of the trend? SB: It’s a trend, the gold is in right now, but it’s definitely a signature of Tainted Rose. I do have silver pieces and it’s probably my own bias [that I didn’t bring any here today!] – the gold is just what my eyes go to. 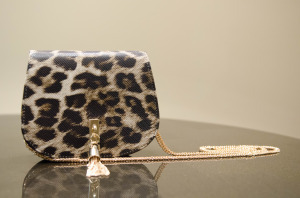 I tend to stick to gold and blacks and leopard, things that don’t go out of style, you know it’s timeless. KHI: You said the magic word, “timeless” – what is a classic piece that flatters anybody, no matter what their style is? 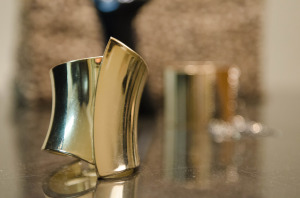 SB: I would go with the gladiator cuff, because it’s very timeless. It can go with almost anything and really everybody can wear a bracelet. Some people may not be into necklaces or rings as much, but anyone can throw on a bracelet and make their outfit pop, just add something extra to it. 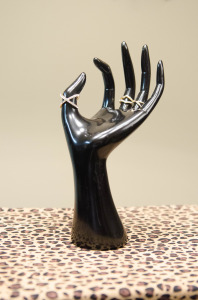 KHI: What do you suggest every woman have in her jewelry box? SB: I would say in your jewelry box, you definitely have to have stud earrings. 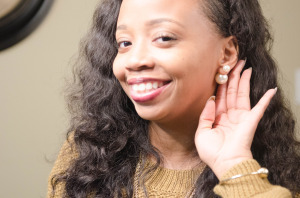 I would say stud earrings is something every woman should have because rather you are throwing on a t-shirt running to the store or whether you’re going out, they’re very versatile. It takes nothing to put them on, they aren’t heavy, they aren’t too flashy if you don’t want to be. But then you can find different ones like the ones I’m wearing that are unique and will still give you a little extra pop even if it’s not something big and gaudy. KHI: And to me those earrings are statement pieces because they aren’t just in the front of the lobe. What type of stud would you suggest: pearl, circular, or what else? SB: I think any kind of stud would get you the look you would want to have but I’m a pearl girl [laughs]. Pearls are classic; your mom will wear them, your grandmother on down to your daughter could wear a pearl earring – anybody could wear it, it’s a classic piece and every woman should own a pair of them. KHI: What about pearl necklaces, do you feel the same way about that piece? SB: They are pearl necklaces out now that could be your statement or staple piece. It may not be for everyone, but it’s definitely not something I would suggest you not have because you can wear it to church, you can wear it out to dinner, anywhere. It’s like having a pair of black pumps – you have to have a pair of black pumps. So a set of pearl earrings and a pearl necklace is just something that should be included in your wardrobe. SB: Right, so you can mix and match however you want. KHI: What are some pieces you have that you cannot live without? SB: I cannot live without my rings. I love rings! I have small wrists so it’s very rare that I can find a bracelet that will actually fit and it’s not falling off or looks crazy so I stick to rings. 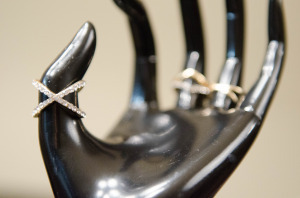 Now there’s a style called the midi rings where they stop right above the knuckle and I carry a lot of those now. They’re very fashionable and always something you can add to your wardrobe. KHI: ‘Midi’? As in ‘middle of your finger’? KHI: What is a piece that you see too often and (for whatever reason) you’d like to see less of? KHI: So this is a trend you helped perpetuate – would you consider Tainted Rose a trendsetter? SB: Definitely! I do my research and figure out what’s on the runway, what’s popular, what other bigger cities are doing and try to be one of the first to get those items here in Arkansas. Sometimes it’s hard to get people on board but eventually they almost always do. So I try to set trends and continue to do things differently than anyone else. SB: I would say pick several different pieces of jewelry depending on the outfit. Just because you have a necklace that’s nice doesn’t mean it’s going to be nice with everything you have. 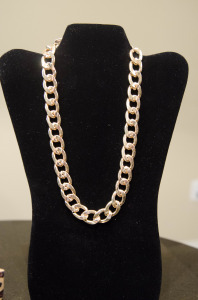 So I would say tailor you jewelry to your outfit because your jewelry can make or break your outfit. 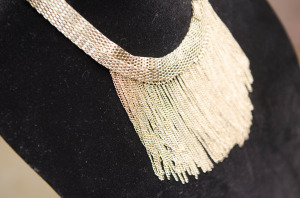 Not enough jewelry might have you looking a little more plain, or maybe it’s not that great of an outfit but if you put a great statement piece on, it might make a world of difference. So I say pick your jewelry according to your outfit and if something happens to go with more than one piece then of course wear it, but I wouldn’t bring one two or three things expecting them to go with any outfit. 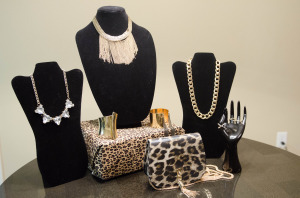 SB: If necklaces or bracelets aren’t your thing, then you accessorize a different way. I know what works for me and what doesn’t work for me and I’m not one of those people that’s going to wear something just because it’s “in style” or because somebody said it was in style so I think you should wear what works for you. If you don’t like necklaces, then don’t wear them. 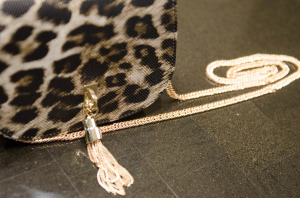 You can make your outfit with some earrings or with a clutch – there are different ways to make an outfit. If one thing isn’t your thing, then just don’t do it. When you’re wearing something that’s not “you,” then you’re confidence isn’t the same, people can tell and it even looks uncomfortable. Do what works for you! KHI: How important is wearing jewelry and accessorizing (if you’re into that) to enhance your confidence and appearance – specifically for a photo session? SB: I feel like if you look good, you’ll feel good. It’s really not so much about what you look like on the outside because you can be very beautiful but if you’re not feeling very confident it won’t project in a photo shoot or even a conversation if you don’t feel good about yourself. Jewelry along with your outfit and hair and makeup – whatever your ‘thing’ is that makes you feel good then that’s what you need to do. I definitely feel like jewelry can hry. I just feel like you’re cheating yourself. Even if it’s just earrings! KHI: Anything else you’d like to add? Thank you so much Sammi for chatting with me and giving your expert advice on all things accessories! Please support Sammi by showing her love on her Facebook page and by shopping at Tainted Rose. Sammi Bivens was inspired to begin her own company in the spring of 2011 and believes she made one of the best decisions of her life in doing so. 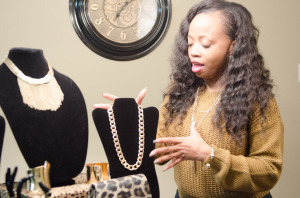 Tainted Rose took off when Sammi hosted a Shop and Sip jewelry party. She says that due to the outstanding support and abundance of orders she received from her first clients, she embarked on the journey of creating her own website. 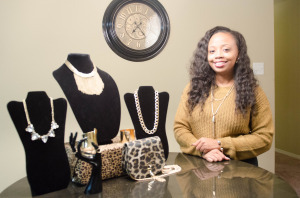 Since then, her clientele has skyrocketed and has given her the opportunities to serve as vendor for many local fashion events all over Arkansas. Sammi’s products have also adorned celebrities such as Willie (of Day 26) and Miss Mykie (former host of 106 and Park).